sleek, chic and sturdy! an all around great stool, thank you guys! 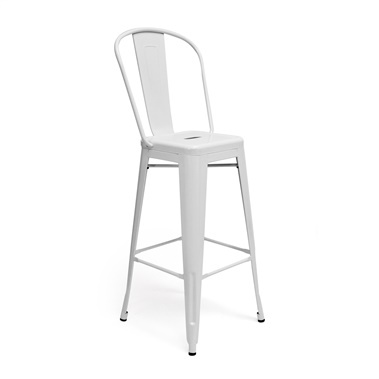 Comfortable backrest with a very sturdy and stable base. I'm impressed by the look and feel of the design. Thinking of ordering more. Thank you! I purchased 4 of these for my kitchen counter, in white. My kitchen color scheme is white and stainless appliances. 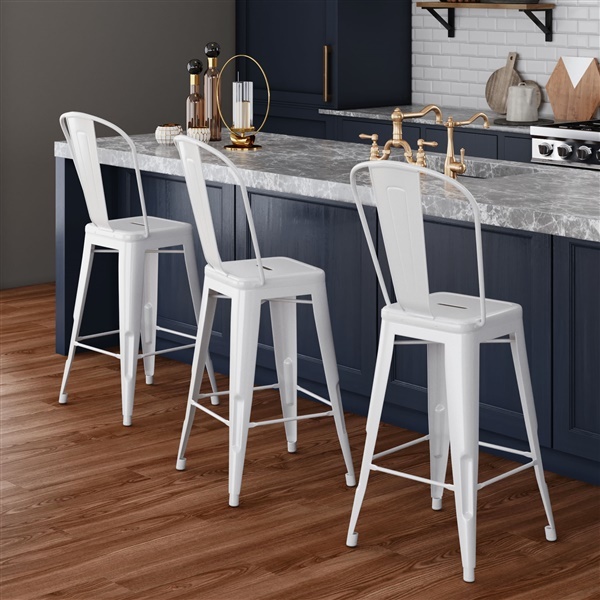 I was torn between the silver or white stools but ultimately chose white. They're absolutely perfect. Couldn't be happier with the price and the quality. I will definitely be back!